… and have them read! It’s true that you can find a lot of astrophotography tutorials on the Internet. It’s also true that you can learn astrophotography on your own, discovering things your way. But if you want to make fast and steady progress of your imaging and processing skills, books are your best friend. In this post, I will show you my favorite astrophotography books. 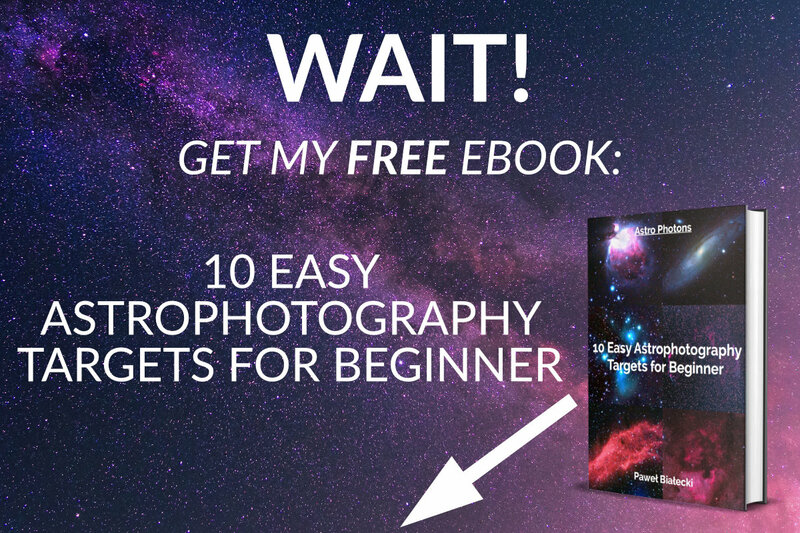 Bonus – Start Your Astrophotography Books Collection For Free With my Free Ebook The 10 Best Deep Sky Astrophotography Targets for Beginners! A mandatory title in every astrophotographer library. This reference book is a must-have title for every astrophotographer on the world, and every astrophotography books list should start with this volume. If you were to choose only one book from this list, pick this one. With this book, you don’t have to think what to photograph tonight – finely selected astrophotography targets are there. You just open the table of contents, check today’s date, and voila – you instantly know where to point your telescope tonight. The author gives you hints about where to find your target, how to image it, and finally suggest the processing workflow. 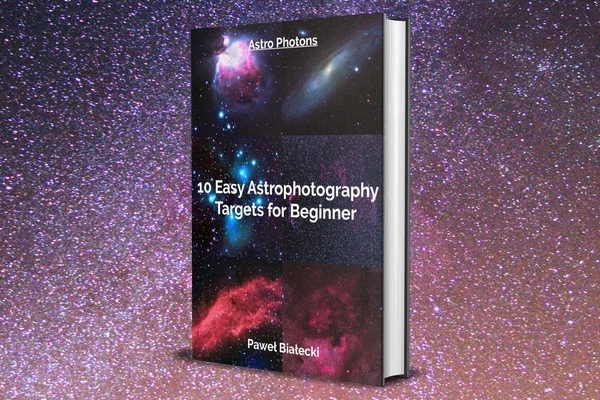 Besides 100 astrophotography targets for every day of a year, at the end of the book, you will find some basics of astrophotography – things like how to choose equipment, how to acquire an image, what’s the order of post-processing, etc. If you are just starting in astrophotography, this is the basic knowledge you have to obtain. It’s a fantastic book for both beginners and advanced imagers. Do yourself a favor and take a look at it, it’s just worth every penny. My Polish edition of the book. This is not an astrophotography book per se. It’s rather a complete introduction to astronomy in general written in understandable language. If you are completely new in astrophotography and astronomy, this title is your friend. You will learn basics of those things around Earth (like stars), astronomy and astrophotography equipment, constellations on the night sky, and planets in our Solar System. If you have never listened to your physics and astronomy teacher in school, don’t worry – all the basic knowledge is here. PixInsight is probably the best astrophotography post-processing tool that exists. It has an opinion of being software that is very hard to learn and master. Although it’s not completely true, the program is not so straightforward and has some learning curve. Thanks to this manual (an unofficial one), things are simpler. Besides YouTube videos, this book was the most helpful resource for me to learn (not master – yet) PixInsight processing. If you are serious about your astrophotography, learn PixInsight. How many have you seen yet? When you are done with your first 100 astrophotography targets, get 901 more! This is for serious imagers only. Like in The 100 Best Astrophotography Targets, this book is also divided by twelve sections for every month of the year. It’s hard to find an astrophotography target that is not covered in this book. Check by yourself. What other astrophotography books would you add to this list? Tell me in comments below.